on the radio and in my mind. your eyes, smiling at me. You won’t be home for Christmas. without you home for Christmas. the words “I love you” written underneath. 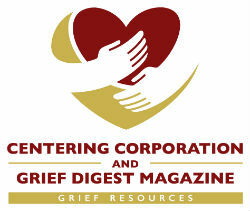 Deb Kosmer is the Bereavement Support Coordinator for Affinity Visiting Nurses Hospice, and she provides grief services to grieving individuals in the Fox Valley area in Wisconsin. She is a frequent speaker on the topic of grief in the community. Deb’s most credible credentials are the significant losses in her own life. In January, 1986, Deb’s father suffered a massive heart attack and died. Barely three years later, in 1989, she experienced the accidental deaths of her fourteen-year-old son and her thirty-one-year-old sister.